Whoo hoo today is Sunday! And another weekend day is here! So, what are you all doing today? Well, during certain times of year, there are events called air shows, and what makes them amazing is the fact you get to see airplanes up close, and personal, and then you see them perform. Well, today’s optical illusion is all about an amazing optical illusion that took place at an air show, and it looks like two planes are blending into one! We understand that it is hard to tell that there are two planes here, but there are, and it’s just the way the photograph is angled. 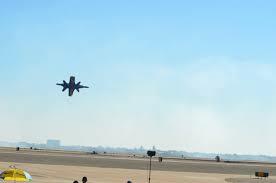 If you all don’t have an air show around you to check out, then just do something else that is just as fun. Ready for another cool optical illusion? How do you all feel about the famous John Lennon? Would you all like to see a portrait of John Lennon made out of coffee beans? Well, we know that today is Sunday, and some of you are just getting back from church, and some of you are doing chores, but whatever you do, be sure you enjoy yourselves. We will see you all again tomorrow with another cool optical illusion!